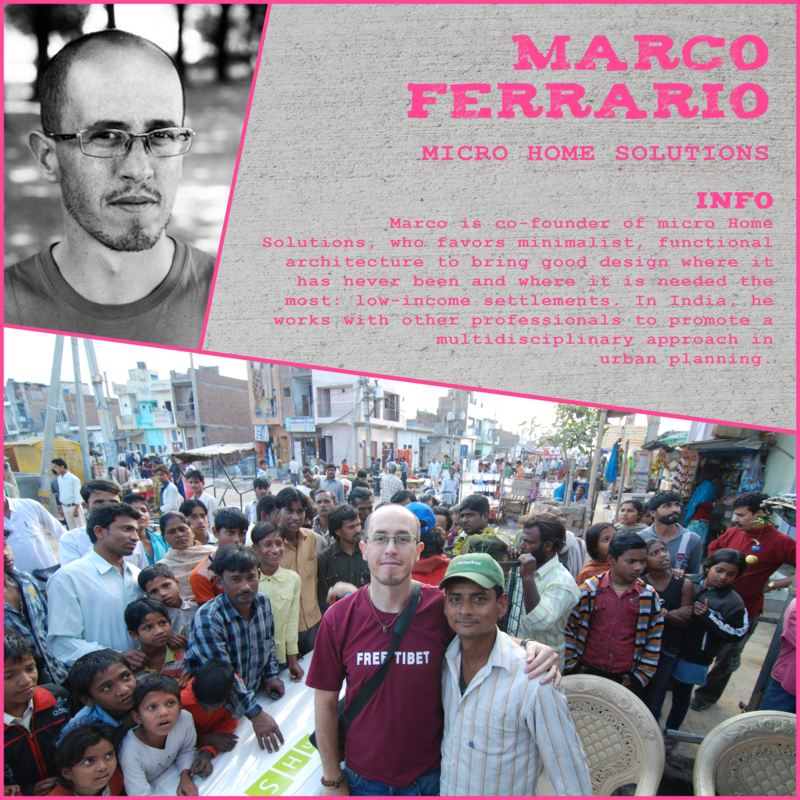 Our second confirmed speaker – Marco Ferrario, co-founder of micro Home Solutions (mHS), favors minimalist, functional architecture to bring good design where it has never been and where it is needed the most: low-income settlements. In India, he is working with other professionals to promote a multidisciplinary approach in urban planning. Marco graduated from the Politecnico di Milano and worked as an architect in Italy, India, Singapore and USA. Since 2009 he works with mHS and as consultant for various organizations.